Samsung is all set to expand its online presence with the launch of the new Galaxy M Series in India. The company hasn’t mentioned the number of devices it’s going to launch, but, the teaser page on Amazon.in include some highlights of the upcoming series. According to the listing, the device flaunts an Infinity V display just like the one which is present on the Honor 10 Lite, Vivo Y93, OnePlus 6T etc. It is the also the first smartphone from Samsung to feature an Infinity V display. In the camera department, the device has a Dual camera setup on the rear side with a wide-angle lens to take wider shots. Surprisingly, Samsung is also including a bigger battery along with fast charging support. 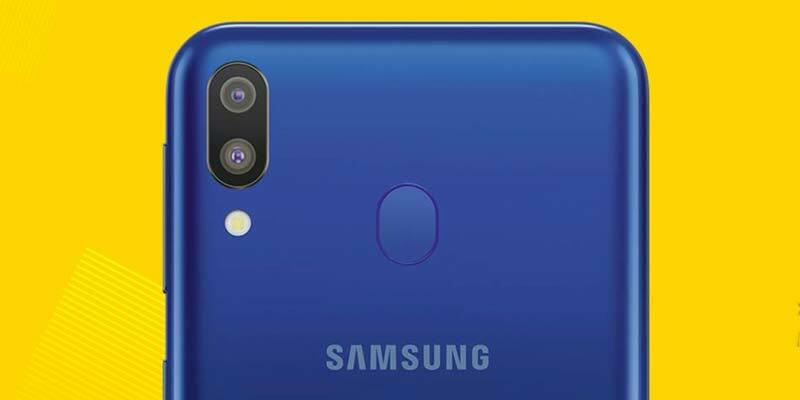 Coming to the performance, the device is expected to come with a powerful Samsung Exynos 7000-series processor with 3GB or 4GB RAM on board. It will also include a rear-mounted fingerprint scanner, USB Type-C Port and a 3.5mm Audio Jack.